INTTRA, a neutral electronic transaction platform, has announced Locus Software Limited has joined its network of partners. Locus Software is the developer of Odyssey, a global, cloud-based, all-in-one enterprise shipping solution for ocean carriers and NVOCC’s designed to expand ecommerce collaboration with their customers, agents and business partners. This new relationship will provide Odyssey customers with out-of-the-box integration with INTTRA for booking, shipping instruction, and eVGM submissions as well as publishing sailing schedules and tracking data. Anastasios Papagiannopoulos, CEO of Common Progress has been elected President of BIMCO has set three clear themes for his two-year presidential term. The first is to promote digitalisation across the industry. BIMCO will be working on a range of projects using convergent technologies to pursue this objective, including applying new advances in software capability to develop a brand new contract editing tool. Promoting digitalisation will be key to achieving the president’s second theme, which is to reduce the administrative burden for the ship’s master. The Navy will lay the keel for the second Gerald R. Ford-class aircraft carrier John F. Kennedy (CVN 79) Saturday, August 22, 2015 at 10 a.m. John F. Kennedy, designated CVN 79, is the second aircraft carrier to honor President John F. Kennedy for a lifetime of service to the United States of America as a trusted leader and public servant. He wore the uniform of our nation as a Naval Officer and served as the 35th President of the United States of America, 1961-1963. The ship’s sponsor is Ambassador Caroline Kennedy, President Kennedy’s daughter. World Travelers will not need to trek out to New York City to catch Quantum of the Seas, the most anticipated cruise ship to-date. The ship will come to them. Royal Caribbean International has announced the details of the Quantum Global Odyssey, a 53-night epic journey, departing May 2, 2015, from the New York-metropolitan area to its new home in Shanghai (Baoshan), China. Quantum of the Seas will take its never-before-seen-at-sea experience globally to savvy vacationers after the ship’s inaugural winter season in New York from Nov. 2014 through Apr. 2015. 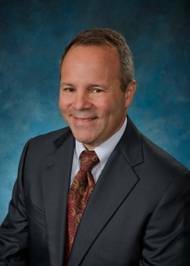 Tecton Corporation (TTNC) announced that Guy Zajonc has joined its Board of Directors. Company CEO, Micah J. Eldred commented, "We are pleased to have Guy join our team. Guy M. Mr. Zajonc is currently President and CEO of Five by Five Media, Inc. (2008 to present). He served as Senior Manager and General Counsel to Odyssey Marine Exploration, Inc. (2003 to 2006). At Odyssey, he helped manage marine operations, helped build the research depart, found and hired the researchers that were directly responsible for the location of the Mercedes, HMS Victory and the Gairsoppa. 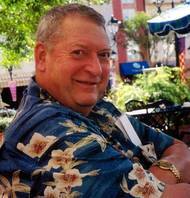 DeJong & Lebet, Inc. announced that Norman N. DeJong passed away on November 7, 2013. Norman was 75 years old at the time of his passing. 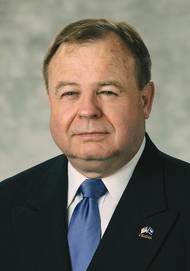 Norman was one of the founding partners of DeJong & Lebet, Inc., Naval Architects, in 1983 in Jacksonville, Florida. He was born in Blokker, Noord Holland, the Netherlands, immigrating to the US after earning a BS in Naval Architecture at HTS Haarlem in 1959. He worked at Phillip F. Spaulding in Seattle, and NASSCO in San Diego before moving to Jacksonville, FL to work at Gibbs / Aerojet General in 1963. Odyssey Marine Exploration, a company in the field of deep-ocean shipwreck and offshore mineral exploration, appointed Mark B. Justh to its board of directors. The appointment adds a seat to the board, bringing the total number of directors to seven, including five independent directors. Justh previously served for 12 years at JP Morgan. There he was a managing director and head of Pan Asian Equities Distribution in Hong Kong. During his tenure at JP Morgan he was also responsible for Cash Equities Distribution in the Americas. The company's new Pinnacle-class cruise ship to feature interiors designed by two leading firms. Holland America Line has selected two design companies to create the interior spaces of the line's new 99,000-ton ship that is slated for delivery in February 2016. The first in a new Pinnacle-class of vessel, the ship will showcase decors by designer Adam D. Tihany and designer and architect Bjorn Storbraaten. Tihany will join Storbraaten, who successfully worked with Holland America Line on Eurodam and Nieuw Amsterdam, in designing the ship's public rooms. Adam D.
Cargo transport between Asia and Europe on the Northern Sea Route (NSR) has reached the one million tons milestone. The total cargo transported on the NSR is already almost 200 000 tons more than in last year’s season, updated numbers from Rosatomflot show. 35 vessels have transported a total of 1 022 577 tons of different goods between Europe and Asia so far, and the season is not yet over, reports the 'Barents Observer'. In 2011 34 vessels transported a total of 820 789 tons during the five months the route was open. The sailing season can still last another month. New Version of Popular Marine Computer by CSS-Inc.
CCS-Inc introduce Globestar® (GS) Odyssey III, latest version of its marine computer ideal for navigation, shipboard monitoring & control systems. 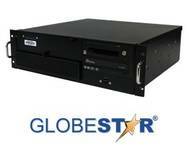 The GS Odyssey III is a 3U rackmount industrial computer that is fully compliant with the IEC 60945:2002 standard for marine use. Its sturdy design and ease of use helps sea-going customers use electronic chart display and information systems (ECDIS) in harsh and remote conditions. CCS has delivered nearly 1,000 Globestar marine computers with field failures of less than 1 percent. Odyssey Marine Exploration Inc. report their progress on work on 'SS Gairsoppa' & 'HMS Victory'. The chartered vessel working on the SS Gairsoppa project, the Seabed Worker, will make a scheduled port call in Cork, Ireland, beginning August 15, 2012. After taking on fuel, supplies and changing personnel, the Seabed Worker will immediately return to the site to continue recovery operations. Meanwhile a 10-week accumulation of silver in the smelting and monetization process from the first load of silver delivered to a UK port. Historical records indicate the Gairsoppa was carrying up to seven million ounces of silver and the Mantola was carrying approximately 600,000 ounces of silver when each sank. Odyssey discovered both shipwrecks in Q3 2011 and conducted a series of reconnaissance dives to both sites in March and April 2012. Both the Gairsoppa and Mantola projects are being conducted under contract with the UK Department for Transport. Under these contracts, which follow standard commercial practices, Odyssey will retain 80% of the net salved value of the cargoes after recovery of expenses. 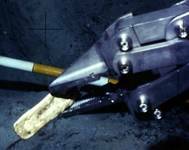 Odyssey Marine Exploration, Inc. deep-ocean shipwreck explorers, announce it has delivered an additional closing notice for the Second Tranche of the financing that was previously announced in November 2011. The Company and the investor have agreed to a Second Tranche amount of $8 million. Odyssey is planning to conduct the archaeological excavation of HMS Victory (1744) under contract with the Maritime Heritage Foundation and cargo recovery operations on SS Gairsoppa and SS Mantola under contract with the UK Department for Transport in 2012. In a ceremony today at Naval Support Activity Capodichino in Naples, Italy, Capt. Richard Soucie assumed command from Capt. James E. Tranoris of Military Sealift Command Europe and Africa, also called MSCEURAF, MSC’s Naples-based office. MSCEURAF is responsible for MSC ships operating in the European and African theaters and is dual-hatted as Commander, Task Force 63, coordinating and providing transportation and delivery of personnel, equipment, fuel, supplies, repair parts, mail and ammunition via air and surface logistics assets to sustain U.S. forces in the European and African theaters.